Water temp has dropped into the low 50's and the mornings are cold, frosty and slow. The lake level is still slowly dropping. Fish haven’t started biting until the sun hits the water. PowerBait and worms have been catching with the most success. Mt Lassen planted 750 lbs. 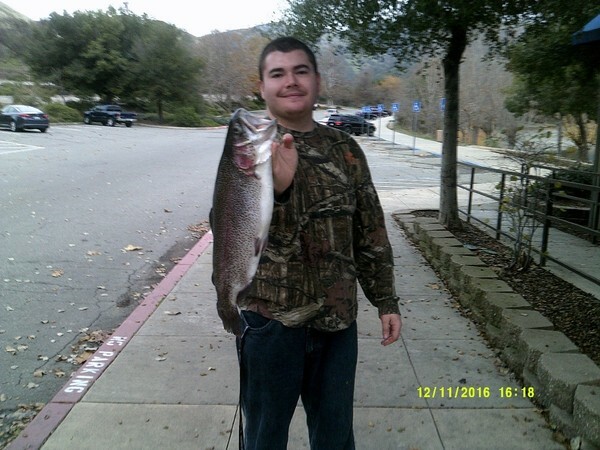 of trout at the public launch on the 12th, and continue to add more fish every week into January. Blue Green algae has put a damper on things, so do not let your pets, especially dogs drink or swim in the water! Skin in contact with blue green algae should be rinsed with tap water. Fish may be consumed after removing guts and liver, and rinsing fillets in tap water. On the brighter side, the New Year is around the corner so come up and see us and get your NEW 2017 fishing license, and don’t forget about the second rod stamp! 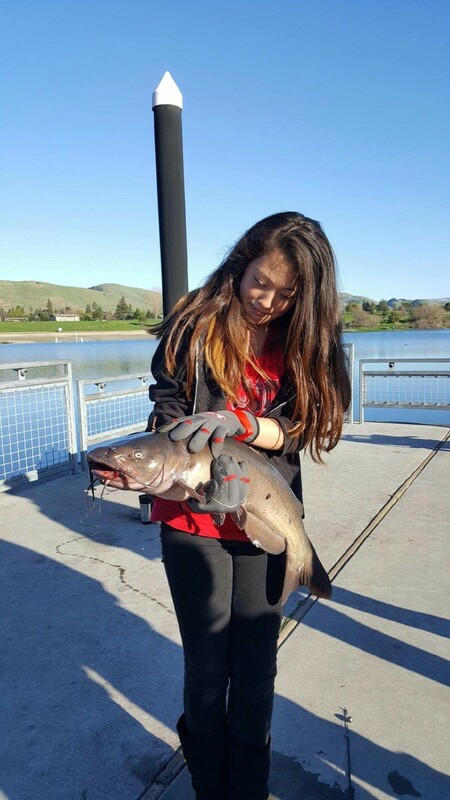 A few catfish were caught this week, and cold water catfish tastes the best! Catfish are still eating bait, worms are the bait of choice at the moment. When the creek starts to flow we will see a lot of cats coming in, even off of lures when the weather and creek flow are in harmony. Trout have been eating PowerBait products and Kastmasters from the East beach and West shore. All PowerBait products work great for trout, from the original power dough down to the eggs, worms and mice tails. Scent will also become a huge factor as the lake turns muddy from the rain. Pro-cure, Mike's Lunker Lotion and Smelly jelly are great brands to stalk up on. Striped Bass are chasing shad in the south end. Some evenings they turn on and go into a feeding frenzy and can be seen hitting the surface from across the lake. Anchovies, Nightcrawlers, and Chicken Livers are the bait of choice for stripes right now but, catfish will also eat the same baits. All of the scent brands I listed before work well for stripes and cats too, just use different "Flavors" such as anchovy, or Mackerel.